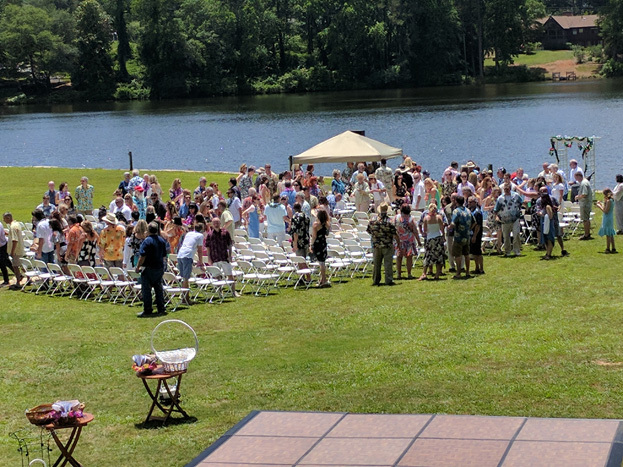 Little Lake Event is a waterfront venue nestled on the shoreline of Lake Lucerne just outside Atlanta. The serene location is easy to find and just three miles east of Stone Mountain. 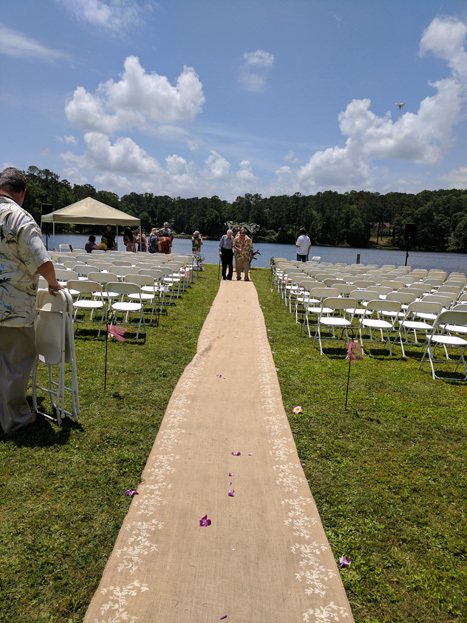 Two acres of lakefront property surround the facility to accommodate outdoor ceremonies, receptions and gatherings. 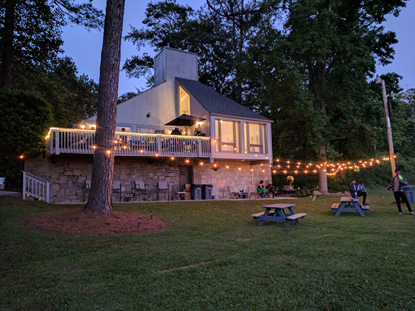 Located in the historic sales office for Lake Lucerne Estates, the intimate space inside can hold 50 people with another 20-25 on the deck overlooking the lake. Grounds by the lake can accommodate many more. The deck can be tented and enclosed to create another room. We are in close proximity to two rental facilities for additional seating, tables, tablecloths and tents if required. Our charming building is furnished in warm, neutral colors to complement any palette. Large windows in a vaulted space facing the lake provide a light airy feel. 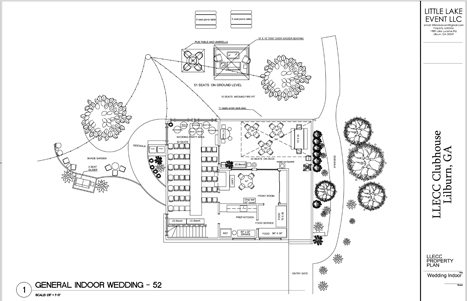 We provide a scaled floor plan layout of the space catered to your specific needs. There are 120 seats inside and outside included in the rental. The main room allows ceremonies for up to 50 people, with a view of the lake behind the wedding party. A stained glass window creates a chapel feel. 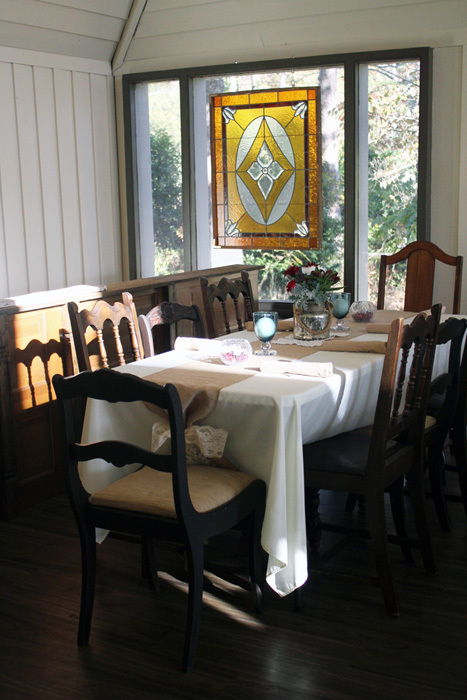 Many decorating and food service items are provided at no extra charge, including a stenciled burlap runner, vintage jars, mirror glass items, and lighting features. We allow flexibility in the vendors you would like to use, however we can provide you with local resources for all the services as needed. 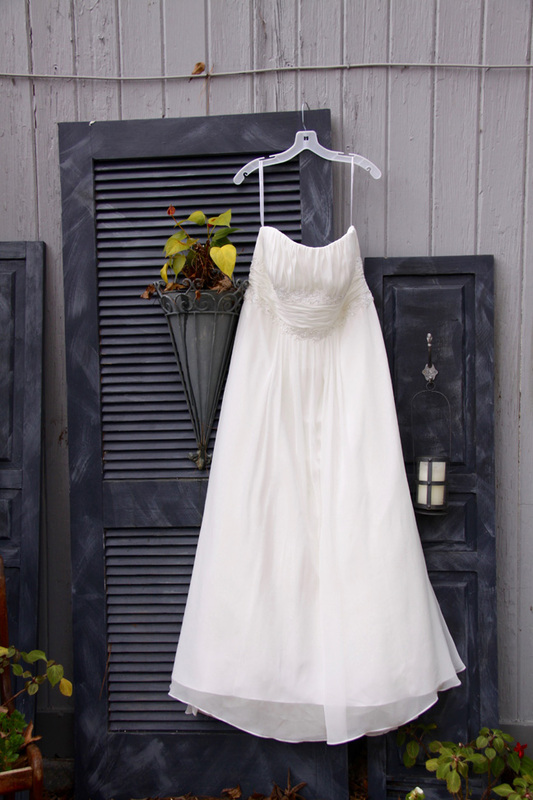 We provide several wedding items in the rental: burlap accessories,wooden serving pieces, galvanized metal and silver service items. Drink dispensers, ice buckets & tubs. Vases, torches and candles (LED and traditional). Table and chair setup both inside and out. Outdoor fire pit and indoor fireplace with burning candles. Outdoor patio heater, tents, and yard games.